Nothing else on the road looks or drives like the Jaguar I-PACE. It is designed and engineered to take full advantage of its smart electric powertrain and maximize the potential this packaging brings. With two Jaguar-designed electric motors placed at each axle, producing a combined output of 400PS and 696Nm, I-PACE delivers all-wheel drive sports car performance with 0-60mph taking just 4.5 seconds. The I-PACE is able to achieve a 0-80 percent battery charge in 40-minutes (100kW DC), while home charging with an approved Jaguar AC wall box (7kW) will achieve the same state of charge in just over ten hours – ideal for the overnight charging used by the majority of buyers. 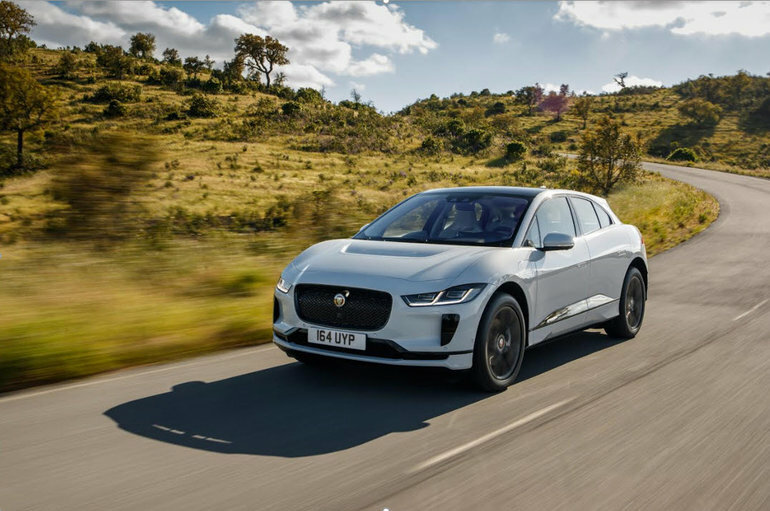 Ian Callum, Jaguar Director of Design, said: “We’re delighted to see the I-PACE named EV of the Year by BBC TopGear Magazine. As our first all-electric Jaguar we set out with a goal to make the I-PACE the world's most desirable electric vehicle and recognition like this clearly shows that we are achieving it." The I-PACE calculates range using the most accurate system Jaguar has ever produced, taking into account route topography, climate conditions, and driver inputs. It is Jaguar’s first vehicle to include the Touch Pro Duo infotainment system, capable of over-the-air software updates and uses artificial intelligence to adapt to a driver’s personal preferences, ensuring driving and infotainment settings are matched to each individual using the car.